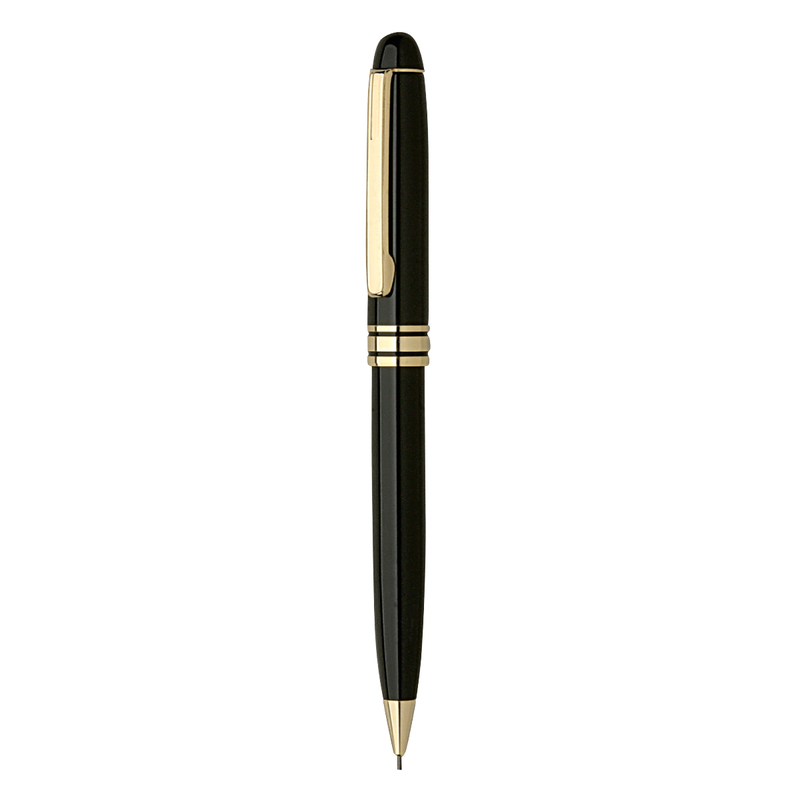 Product Details: Lacquer coated brass mechanical pencil. Gold accents and clip. Twist mechanism. Price includes 1 color only imprint or laser engraving, engraves gold. Carton Dimensions: 15" x 12" x 8"